Casetronic offers products to partners in numerous fields and transforms general purpose platforms into vertical application platforms. Our professional design team can provide special made-to-order enclosuresor integrated barebones systems which specifically meet customers' demands in each vertical market. 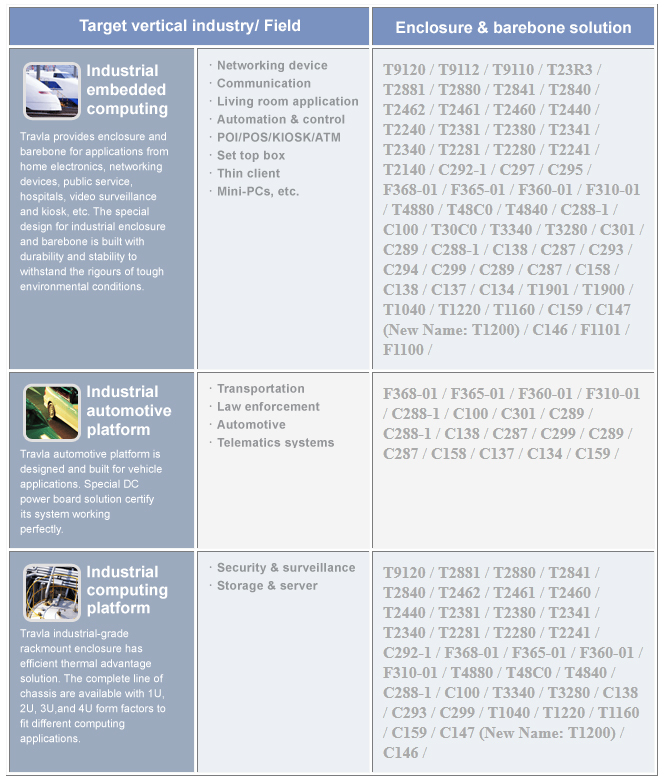 The complete information on applications of industrial embedded computing, industrial automotive platforms, and industrial computing platforms is provided below. For futher inquiry or request, please contact our representatives today.